Abstract: The 2012 Obama Campaign ran the first personalized presidential campaign in history. The data team was made up of people from diverse backgrounds who embraced data science in service of the goal. With seed funding from Eric Schmidt, Civis Analytics emerged from this team and today enables organizations to use the same methods outside politics. I would explore the changes Civis made—particularly for creating effective data-driven teams—that allowed it to continue to deliver the same caliber of work in a business setting. The company has applied many of these same lessons learned to bring data-driven decision making to some of the largest organizations in the country. Working on a political campaign is not that different from working in a consumer-focused organization. The pressure is high, the timelines are tight, and there are often shifting priorities. The data and the modeling need to happen on a national scale. Noisy data is coming in rapidly and needs to be assimilated into existing models and simulations. The best methods you should use are often ambiguous at best. The analytics focus is on the actions of the individual. To be effective in this environment, a data scientists must use a myriad of technologies, and these technologies may need to serve different needs from those that the engineering team has to enable high throughput writes or to help analysts serve dashboards. This environment heavily informed the technology stack in the early days of Civis. We’ll start this session by presenting on work we did in our early days for a national healthcare non-profit. After the passage of the Affordable Care Act, this non-profit needed to run a national-level campaign to inform people about and, ultimately, influence them to sign up for healthcare. We will look at how we solved all aspects of this problem from data collection to modeling, message testing, and consumer outreach. As we grew following this work, we found that our technical solutions and processes didn’t scale. The rest of this session will focus on the lessons we learned to allow us to continue to deliver the same caliber of work. We’ve applied many of these same lessons to bring data-driven decision making to some of the largest organizations in the country. Enabling effective data-driven teams starts with building trust around the process -- from the team itself to the decision-makers and the IT team that, in the end, controls access to the data -- while also building efficiencies in the team and the organization. that some aspects of data-driven decision making are solved with technology and some with social and cultural changes. If you are a data scientists wanting to understand how to have a larger impact on your organization or a decision-maker wanting to understand how to elicit sustained value from your data science team, this session is for you. 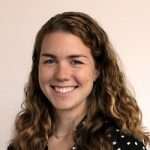 Bio: Katie Malone is Director of Data Science at Civis Analytics, a data science software and services company. At Civis she leads the Data Science Research and Development department, which tackles some of Civis' most novel and challenging data science consulting engagements as well as writing the core data science code that powers the Civis Data Science Platform. A physicist by training, Katie spent her PhD searching for the Higgs boson at CERN and is also the instructor for Udacity's Introduction to Machine Learning course. As a side project she hosts a weekly podcast about data science and machine learning, Linear Digressions.